Hold the load at any stage. In any load bearing hydraulic system there is a valve. In most cases, multiple valves to control the flow of fluid. 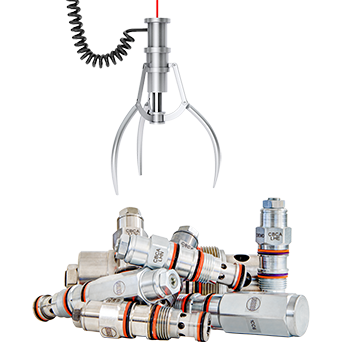 Sun Hydraulics has made it easy to choose the proper load-holding valve. Is your requirement to simply lock a load? Do you need to modulate and control the load? Sun takes the headache out of choosing and purchasing the right load-holding valve. With theintroduction of the QuickSelect™ LoadHolding online tool, Sun asks a series of questions to provide the right load-holding valve for your application. 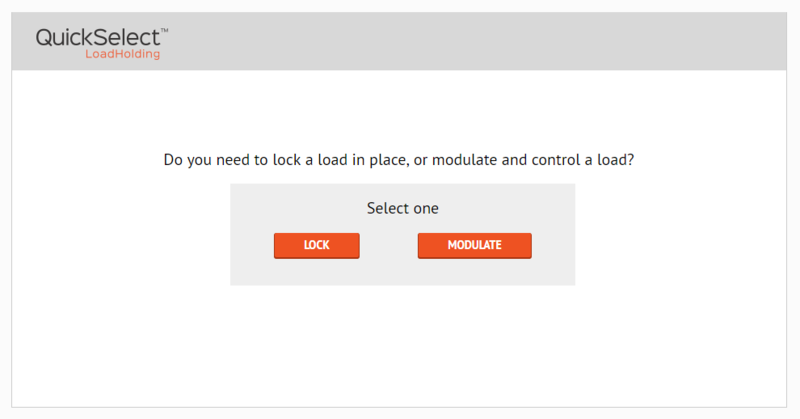 Questions such as whether you need to lock a load or to modulate and control. Is there back-pressure? Do you need a standard or sealed pilot? What is the preferred valve setting (psi or bar)? What is the required flow-rate? Answer a few key questions and the online tool will do a lot of the calculations for you. Not sure of your valve settings? Answer some simple questions such as the load on the actuator and physical dimensions to get suggested valve settings. With a small list of valves, you can then explore the valve recommendations and view the technical data for each with a simple click. Your recommendations, answers and calculations can be printed for later reference. If there are further questions, Advanced Fluid Systems is an authorized Sun Hydraulics distributor and is ready to assist in your decisions.